You will receive either an email or a text message reminding you of your appointment details 24 hours beforehand. There will be details of how to cancel your appointment in this reminder. Please do try to give your practitioner at least 24 hours' notice of any change in the agreed appointment time. In the case of a late cancellation (less than 24 hours from the arranged appointment), unless your appointment slot is subsequently taken by another patient, we will charge you a £40.00 late cancellation fee. We will take into account extenuating circumstances. If you do not cancel your appointment and do not turn up, there will be a £40.00 no-show charge. Outside normal practice hours you can leave a message on our 24-hour telephone answering service. To be sure of not being late for your appointment we recommend arriving a few minutes before your appointment time. 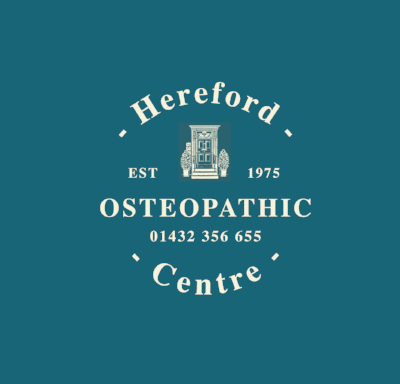 At Hereford Osteopathic Centre we have a warm and friendly space for you to have a chat with any health care practitioner to identify your needs. Parking is to the rear of the practice and there are two entrances. The rear entrance is suitable for wheelchair users if need be. There are two toilets and three treatment rooms with plenty of space. Enjoy a book or magazine, the papers and have a cool glass of water or various teas are available. Should you have any concerns about your health and would like us to talk or write to your medical health care practitioner, please let us know. We take every effort to ensure that you are well looked after however, if in any doubt, please do contact your GP or Consultant.